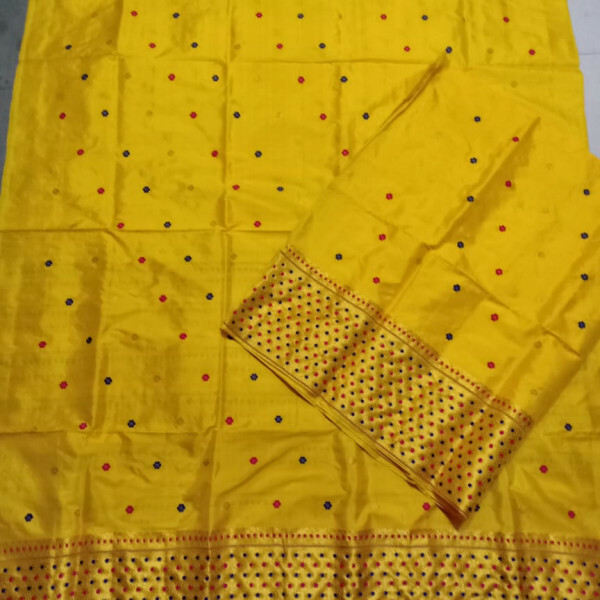 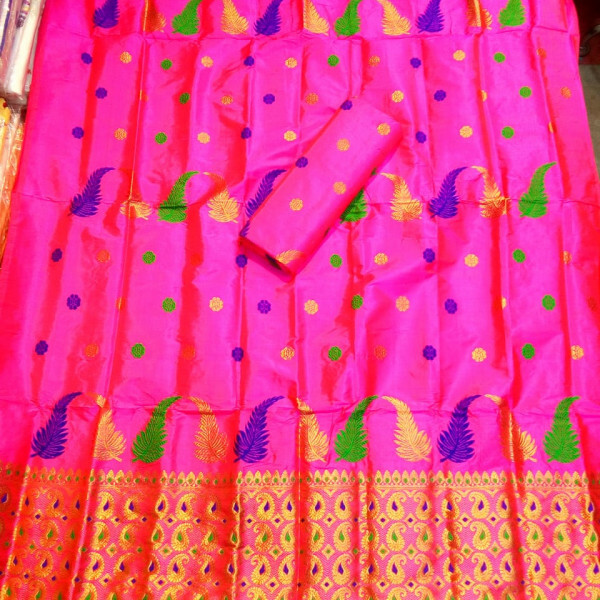 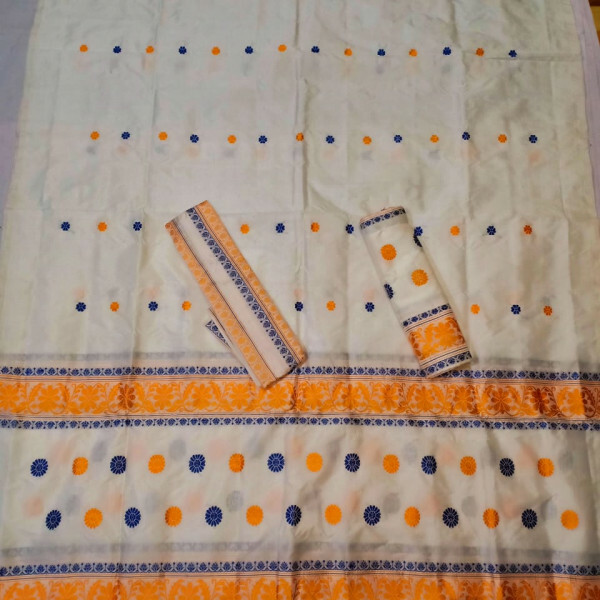 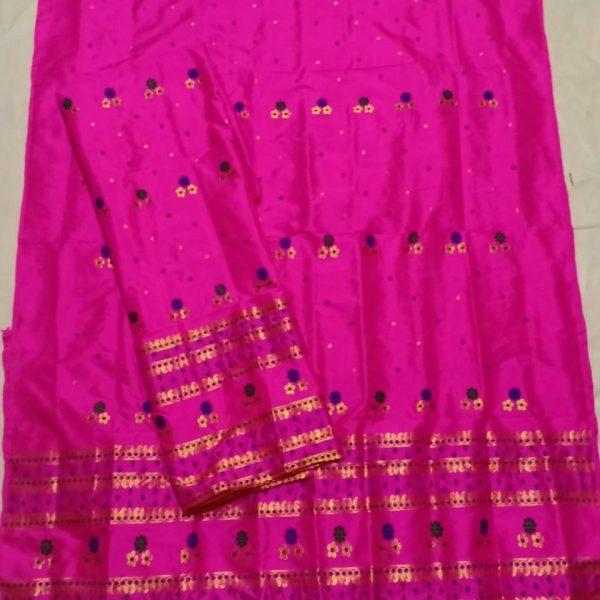 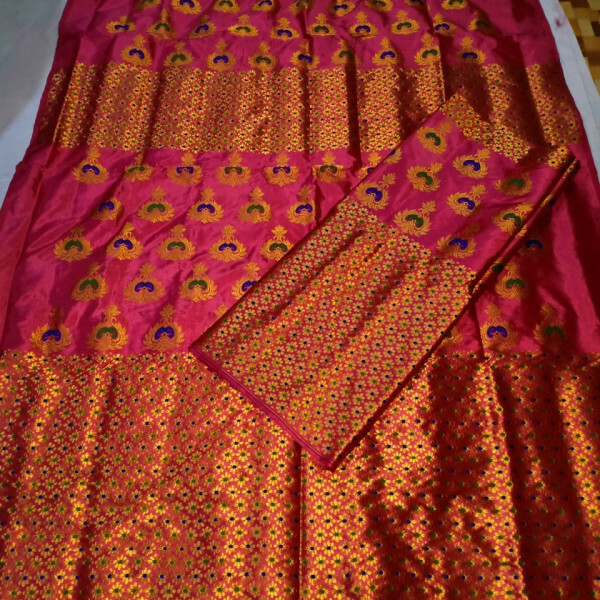 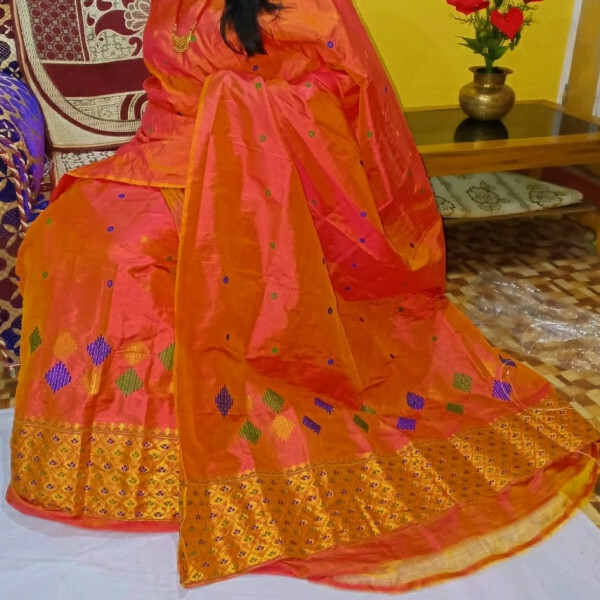 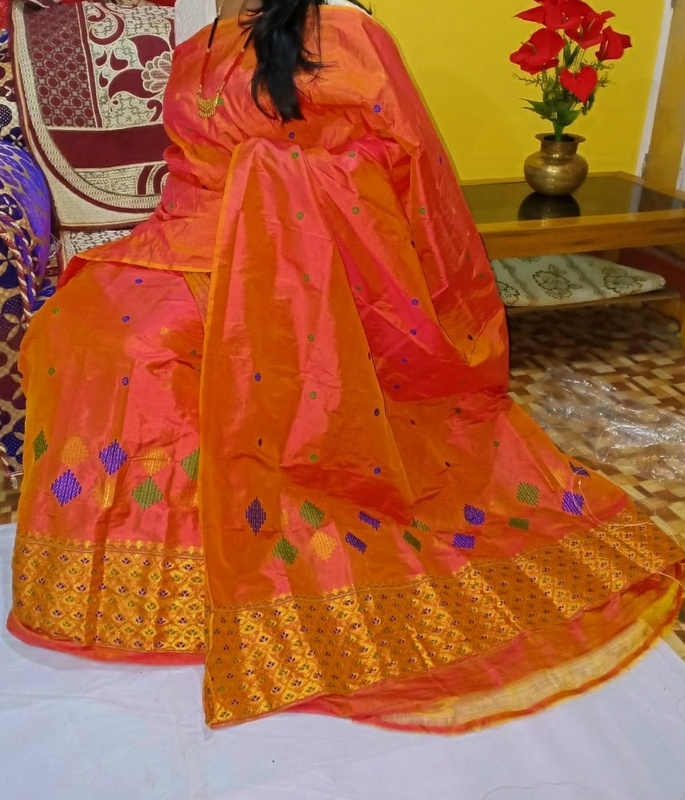 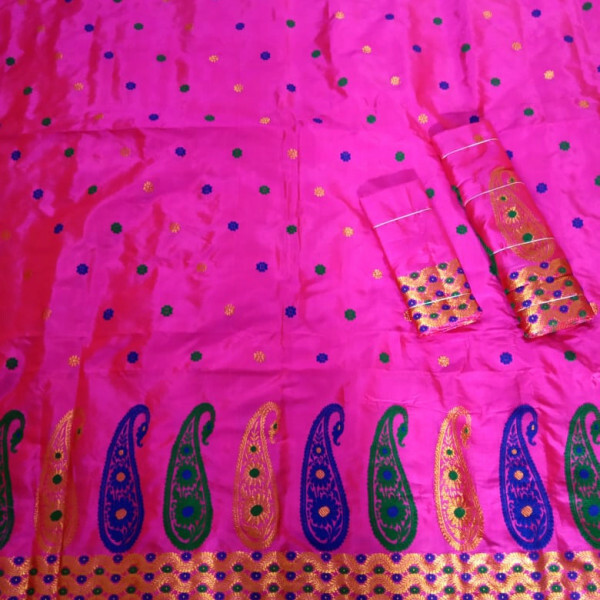 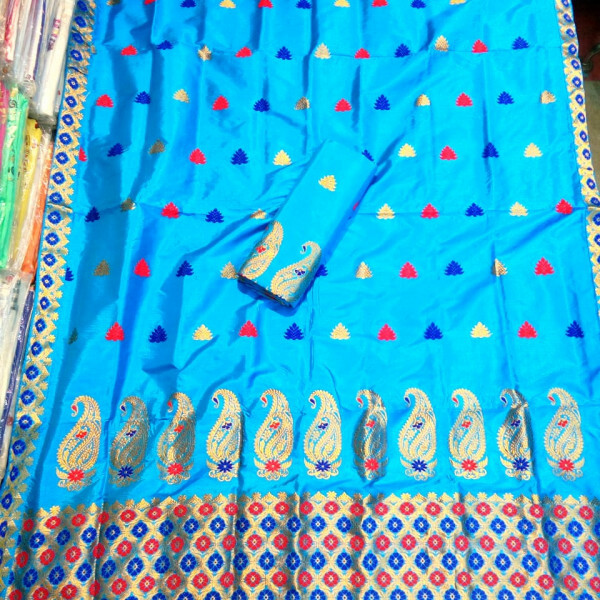 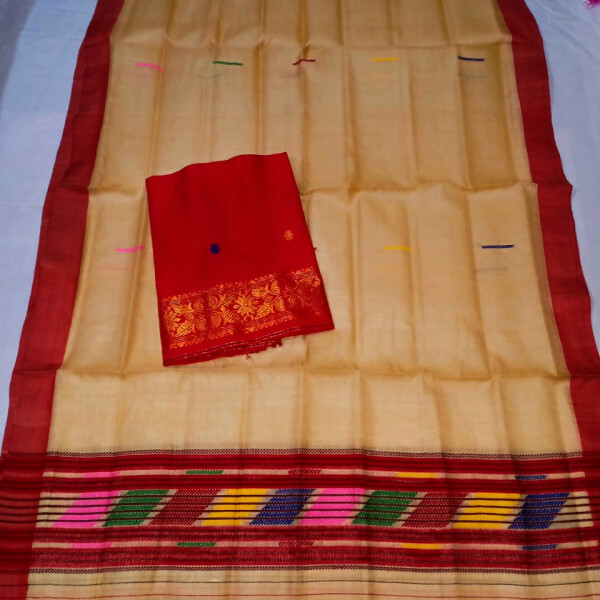 Pure Assam Silk material in Orange base having small size Buta work with green, blue colours and diamond shapes design at the bottom of the Mekhela and Sador is available. 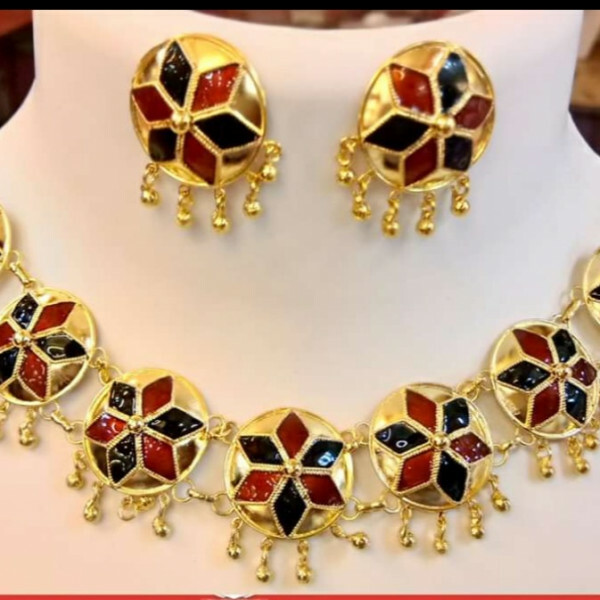 Looks gorgeous and suitable to wear in a party in any seasons. 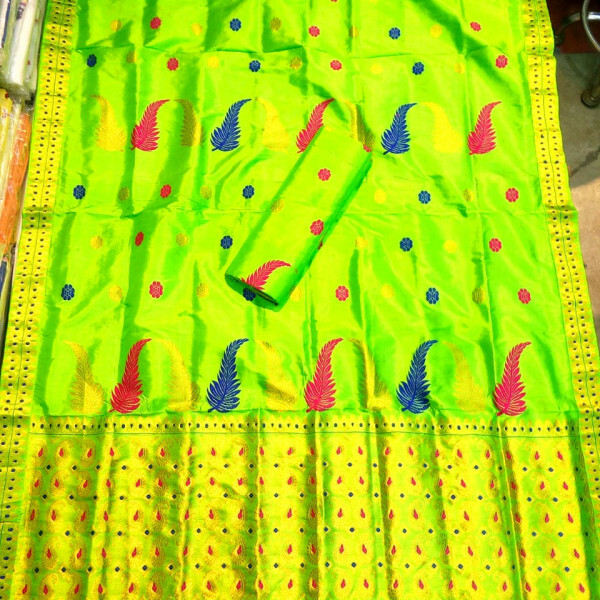 Dry clean method is preferred.